In the middle of summer, when the sun is shining and the temperatures are rising, the best way to cool of is to go swimming. And what's even more wonderful than taking that refreshing dive? Looking fabulous while doing it! In the 19th century swimming became considered a recreation (mostly reserved for men) and people started flocking towards the beach on warm days. 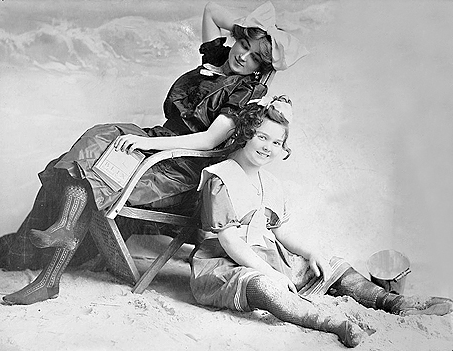 "Bathing suits" for women consisted of stockings, bloomers, dresses and bonnets and they were meant to conceal as much as possible. Comfort was not in the least a priority. 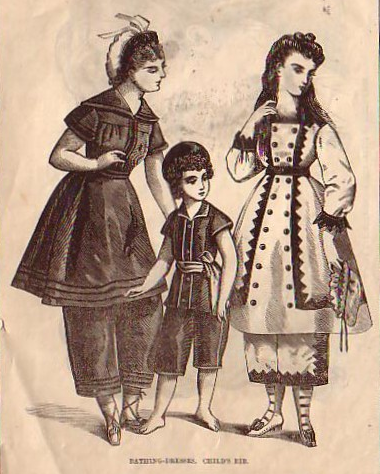 Gradually, as time went by, swimwear became more revealing and comfortable, but it took a long time yet before any upper leg or midriff was allowed to be shown. 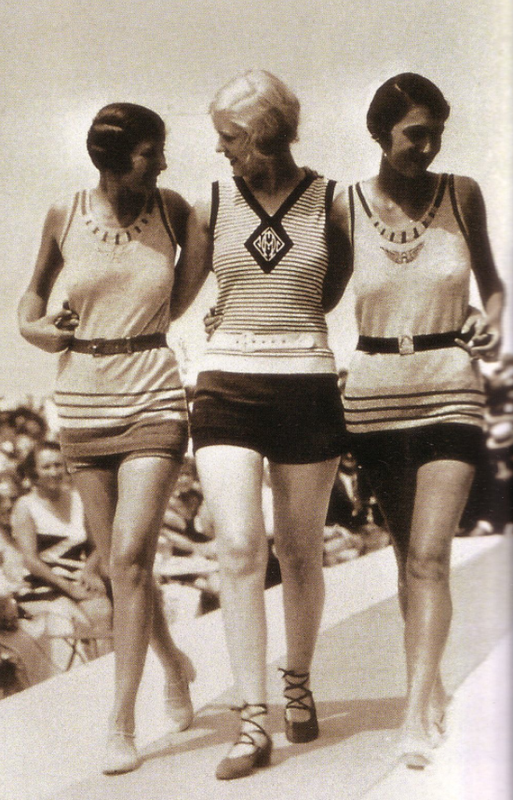 By the 1920's most women wore one-piece swimsuits that looked like little dresses and this particular style stayed in fashion until, in 1946, a revolution took place: the invention of the bikini!! It brought on outrageous, scandalous excitement, but was embraced by the masses in no time at all (be it in a more conservative model). 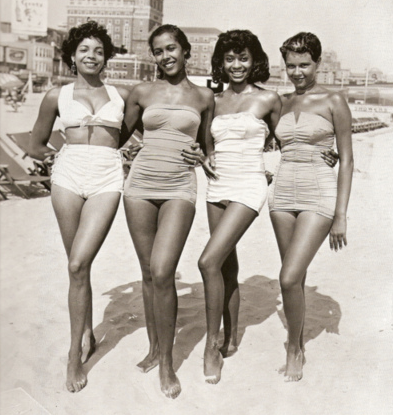 In the 1950's the bikini (not showing the bellybutton) and the one-piece bathing suit were equally popular and available in many different colors and designs. 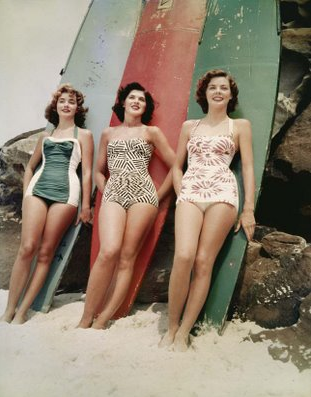 Find our assortment of vintage inspired beach- and swimwear at www.fiftiesstore.com.